The restaurants of Tel Aviv are best samples of world’s haute cuisine, inspired by fresh fruits, delicious own wine and excellent mood. Indulge yourself, just remember that most restaurants in Tel Aviv offer kosher kitchen, and so you will unlikely get some meat in a creamy sauce. Goocha is a Fish restaurant, which serves fresh fish and seafood for a reasonable price. The favorites are the mussels, deep-fried squid and shrimps. Guests can pick up the sauces for all tastes: a convoy with oil and garlic or coconut milk, curry and coriander, ginger, honey, cream, garlic and onions, tomato, basil and thyme. 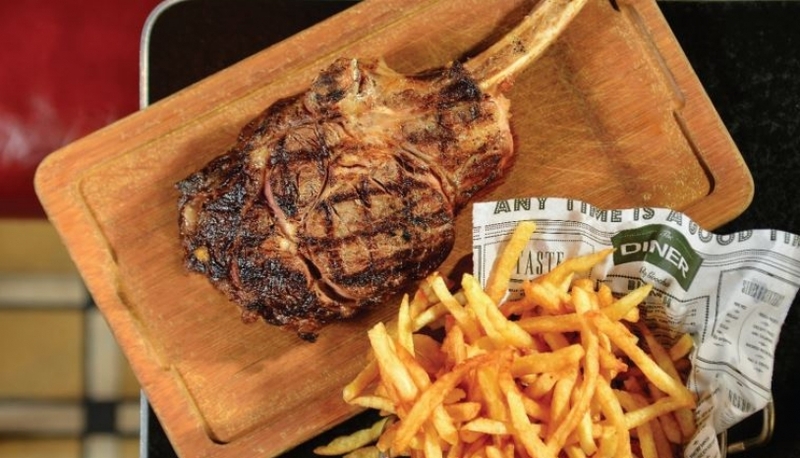 In a funny decorated menu, the meat lovers can find a steak, baked chicken or veal on the grill. If you hurry, they will wrap fried squid or shrimp in paper bags of crisps crispy only for 25 shekels. Take this awesome snack with you and continue exploring Dizengoff Street. This is the only restaurant in Israel, included to list of 120 best restaurants Grandes Tables du Monde, and was highly acclaimed by critics of the French guide Gault Millau. Every day Mul-Yam serves fresh fish and seafood, not only from Israel but also from around the world - the shrimps are imported from Australia. This is one of the most expensive restaurants in the entire country. Dinner will cost you 500 shekels per person, but the fish and seafood will surprise you. If you want to save, afternoon lunches cost cheaper: 130 shekels per person. Barbunia is a very old, very nice and very simple fish restaurant. There prices are much lower than in Mul Yam, but the food here is also delicious. Next to the restaurant there is a nice bar, where you can find a good beer and a snack. In the heart of Tel Aviv you will find an authentic Arabic restaurant with a nice patio on the street. The meat is cooked here not only on grill. It is very nice to sit at the table and find the menu in English. The main delicacy of this place is considered to be a lamb kebab. Sixteen years ago, a businessman and his Thai wife decided to open an Asian restaurant. 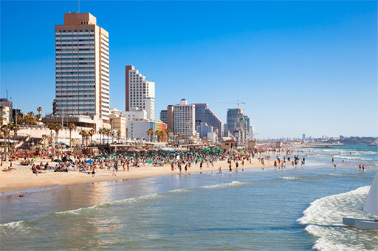 At first it was not successful, but now it is one of the most popular places in Tel Aviv. The menu offers dishes from all over Thailand. It includes coconuts, papaya, eggplant and Thai seasoning Makua-prau. All products are home grown in couple’s own farm. If you are looking for a quality restaurant, which offers a unique food, beautiful interior, pleasant relaxed atmosphere and excellent service for a good price, go straight here. You can taste Thai rice noodles padtay together with Japanese sushi and Chinese egg roll with a European dessert.